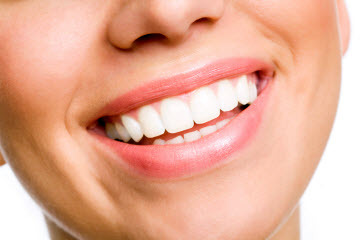 At Anaheim Hills Smile Studio we offer a delightful approach to cosmetic dentistry. We believe in pampering our patients and providing a positive experience from the minute you enter our dental office. We work hard to make sure you are confident in your treatments and are relaxed before, during, and after your treatment. A beautiful smile starts with optimized oral health. We use only tooth-colored composite resin, never metal in our restorations. While we offer top of the line service, our team is dedicated to keeping your out of pocket costs as low as possible by practicing conservative dentistry whenever appropriate. Teeth Whitening – Patients have a choice of highly effective take-home and in-office teeth whitening methods to suit their needs and boost their level of confidence. If you have experienced staining due to the consumption of dark foods or beverages, she can advise you on ways to lessen their effect. Veneers – We offer traditional and low prep options for teeth that are chipped, permanent discolored, mildly crowded, or gapped that can transform almost any smile. If you suffer from teeth grinding (bruxism) and your teeth have become worn, she can provide a night guard to protect your new smile. Snap-on Smile – This cost-effective alternative to veneers can help many people achieve a more beautiful smile quickly and conveniently. Full Smile Makeover - Our Anaheim Hills cosmetic dentist can create a comprehensive, customized treatment plan by combining any of the above services with corrective and restorative methods such as Invisalign® clear braces, gum contouring, traditional crowns, bridges, or even implant-supported options to replace missing teeth. Dr. Azita can help you achieve a smile you are proud of and considers your complete dental health when recommending and implementing treatment. No matter what your smile goals are, we want you to enjoy every aspect of your visits with us at Anaheim Hills Smile Studio. The lab we use for prosthetics is unparalleled and the partnership between our dentist and lab means you count on consistently excellent results. Whether you are interested in an extreme smile makeover or Zoom teeth whitening, we want you to come away from your visit feeling relaxed and renewed. Anaheim Hills cosmetic dentist, Dr. Azita Adelynia, and her entire team are committed to providing gentle dental care while transforming your smile. This is why our patients keep coming back, often traveling from Yorba Linda, Orange, Corona, Brea and other cities throughout Orange County, California. Looking for a great Anaheim Hills cosmetic dentist? Call our office today!